Looking for the best hostel in Chiang Mai? Keep reading! 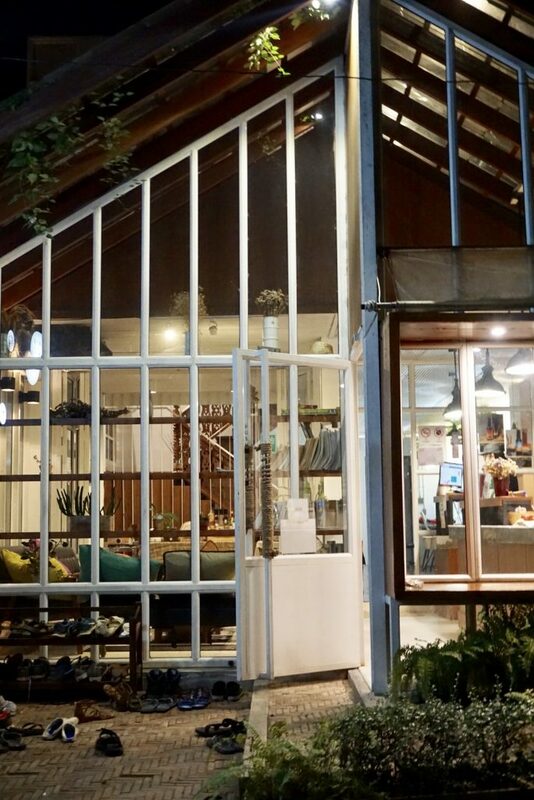 Located right in the heart of one of Thailand’s best cities you’ll find a cozy spot that makes you feel right at home at one of the best hostel in Chiang Mai. 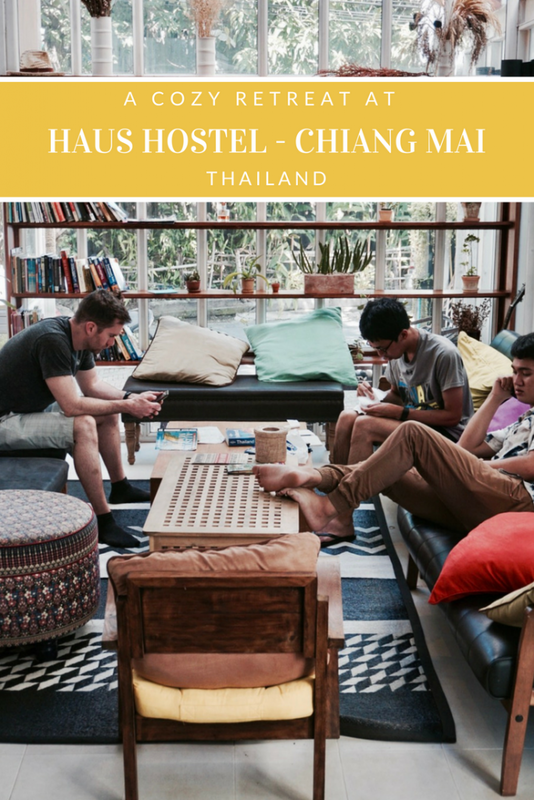 Tucked away on a quiet side street, Haus Hostel is the perfect option for anyone traveling to Chiang Mai on a budget, not to mention one of the best hostels in Chiang Mai. Rooms are affordable without skimping on comfort and decor. During my stay I felt right at home on their comfy common room couches (eating their delicious free breakfasts)! Over the past few months I have been lucky enough to stay at Haus Hostel on multiple occasions! During my latest visit to Chiang Mai I received a free stay in exchange for an honest review of the property. 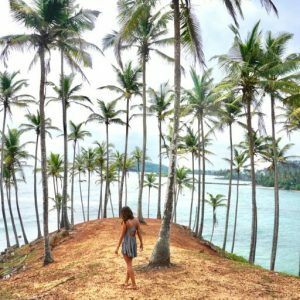 Having already stayed at the property on past trips, I was more than happy to review this incredible hostel! The hostel currently offers 4, 6, and 8 bed dorm rooms, with both mixed and female-only options available. 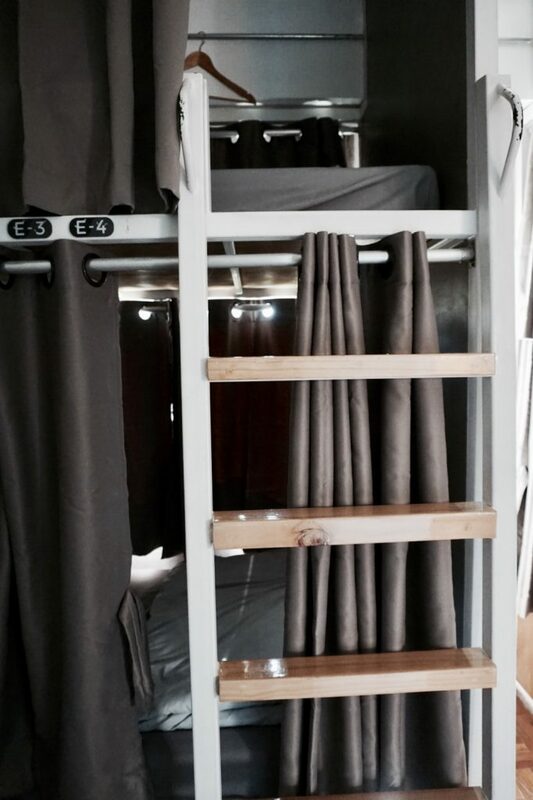 Each bed is equipped with a personal reading light, charging outlet, privacy curtain, and large storage locker. I loved that the lockers were large enough for my big backpack, as it added an extra layer of security. 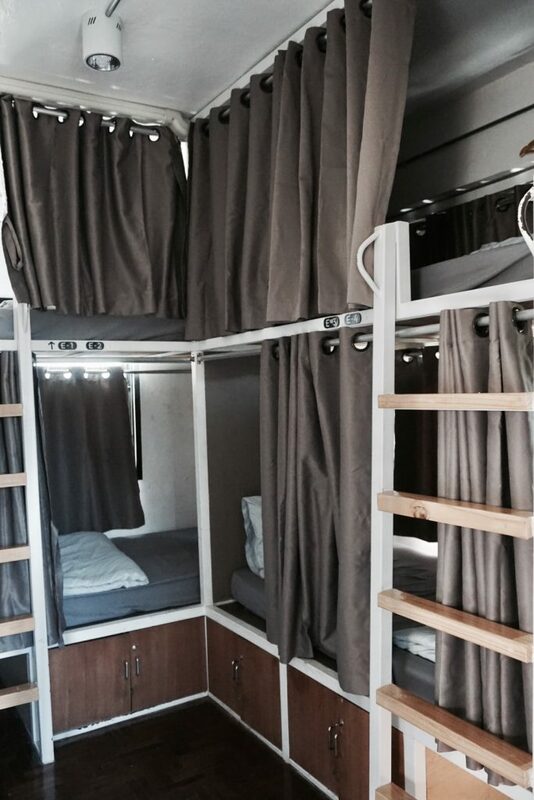 The privacy curtains are a must for me as well, as they offer a sense of privacy in a shared space – something that is extremely important for many long term backpackers. Some of the rooms even include a personal window which is a great touch! The rooms were extremely clean and actually smell great (a big change from many of the hostels that I’ve stayed in in South East Asia)! Each room is equipped with an A/C that can be adjusted as you please. Dorm bed prices range from $10-13 (price subject to change) depending on number of beds and type of room. While there are cheaper options available in the area, in my opinion the amenities at Haus Hostel are well worth the price! Haus Hostel’s light decor is both cozy and aesthetically pleasing with ample natural light due to the all glass front. Many hostels offer “free breakfast,” when really you are offered only toast and coffee/tea, leaving a bit to be desired. The free breakfast at Haus Hostel is a bit more substantial, with options of cornflakes and eggs in addition to the standard toast with jam. 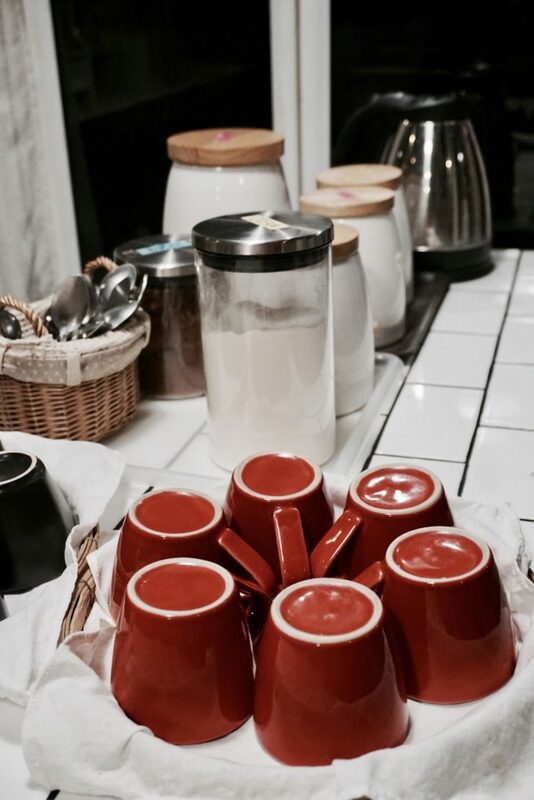 Coffee, tea, and drinking water are also available free of charge at all hours. While Haus Hostel is definitely not a party hostel, it offers a social atmosphere, a serious qualification for best hostel in Chiang Mai. The comfy common area is a great place to meet fellow travelers, especially for those individuals who are traveling solo! Not to mention, the rooftop area is an added bonus! While I definitely found it easy to meet other travelers, I would have appreciated a bit more effort on the hostel’s part to create activities or events to encourage mingling. It may seem like a silly perk but as a traveler who can’t be bothered to carry around my own towel, free towels at hostels is a major plus! The staff is super accommodating and happy to lend out travelers who are hoping to shower either before checking in or after checking out. One of things that make Haus Hostel the best hostel in Chiang Mai is the wonderful staff! The staff at Haus Hostel is beyond friendly and willing to help you out with tips, advice, or bookings. When our cooking class pickup was running late they were happy to call and get everything sorted for us! The rooftop closes at 10pm and the social scene is moved to the local bars, which means that Haus Hostel is a great place to stay if you are looking for a solid night of sleep! As there are so many early morning activities in Chiang Mai, a good night of sleep in a quiet hostel is sometimes in order! 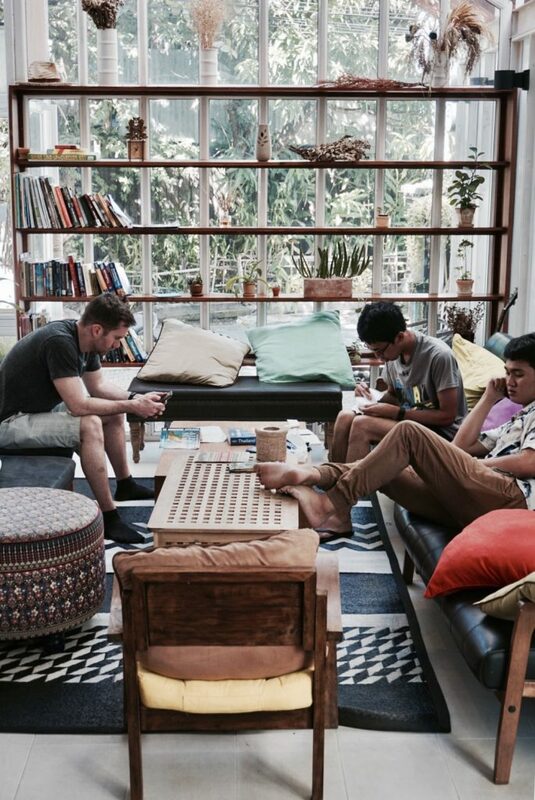 Like what you read about the best hostel in Chiang Mai? Don’t forget to pin it now! Love this cute little hostel! 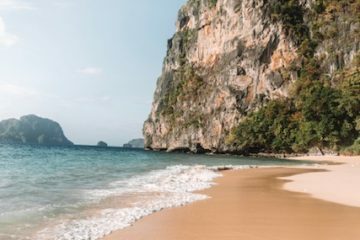 I haven’t been to Thailand yet, but it’s on the list! Thanks for sharing! This hostel looks so nice! The privacy curtains are definitely a nice bonus. 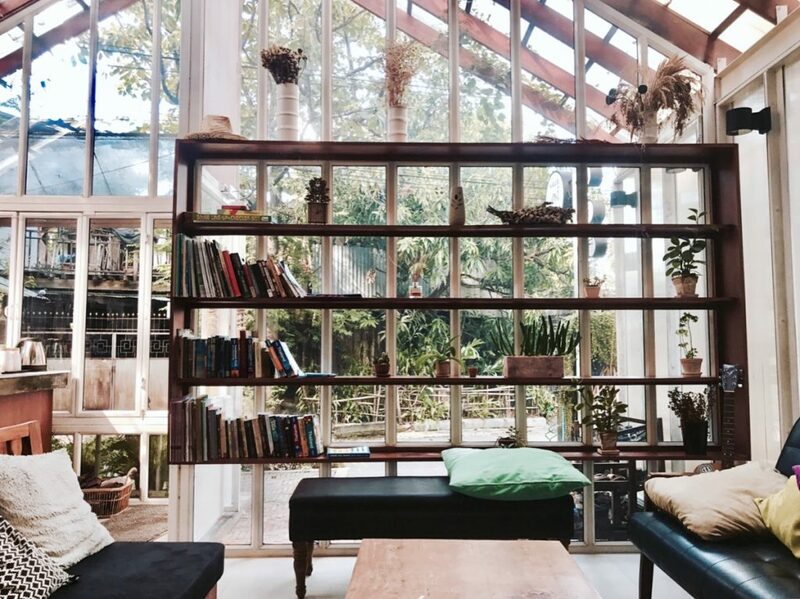 I’m visiting Chiang Mai next year and will have to look into staying here! Oh i remember seeing photos of this place on your instagram! me and my husband almost stayed here in the last time we were in chiang mai back in february – sad we missed out! Looks absolutely comfy! This looks like such a cute place to stay! I’m loving all of your photos.